Micaela di Leonardo is a cultural anthropologist and interdisciplinary scholar with broad interests in social and economic inequality, whether by class, race, gender or sexuality—and the analysis of public spheres and counterpublics rationalizing or protesting those inequalities. Her primary geographic focus is American urban life, but she also works on global political economy. Her most recent book projects reflect these interrelated interests. The first, View from Cavallaros, is an historical ethnography of New Haven, Connecticut, focusing on race, gender, urban representation and economic restructuring. di Leonardo began fieldwork in New Haven in the late 1980s, and will finish the book for the University of Chicago Press this coming year as an Alice Berline Kaplan Center for the Humanities Faculty Fellow. The second book project, the anthology New Landscapes of Global Inequality, which appeared in 2008 with SAR Press, began in March 2006 as a 6-day, 10-participant School of Advanced Research conference. di Leonardo was co-editor of this volume, with Jane Collins and Brett Williams, and wrote both the introduction and a case study on the neoliberalization of American consciousness for it. She has also been working for some years—and has published eight articles--on a "black media and the American public sphere" project, focusing on the mainstream media invisibility and politics of a decades-old syndicated black morning radio show with an audience of more than eight million, The Tom Joyner Morning Show. di Leonardo was on leave 2013-14, with an American Council of Learned Societies Fellowship, to work on that book. Black Radio/Black Resistance: The Life&Times of The Tom Joyner Morning Show will appear with Oxford University Press in 2019. 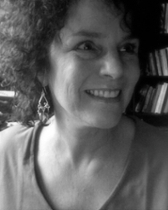 Micaela di Leonardo’s previous publications include two sole-author books, Exotics at Home: Anthropologies, Others, American Modernity (Chicago, 1998))—an account of the intersections of American anthropology and American popular political culture over the 20th century--and The Varieties of Ethnic Experience: Kinship, Class, and Gender Among California Italian-Americans (Cornell, 1984))—an historical, feminist, cross-class ethnography of Italian-Americans in California. She has also published two anthologies, Gender at the Crossroads of Knowledge: Feminist Anthropology in the Postmodern Era (California, 1991), and (co-edited with Roger Lancaster) The Gender/Sexuality Reader (Routledge, 1997). She has also written extensively for The Nation, The Village Voice, and The Chronicle of Higher Education, among other publications. di Leonardo has received many external awards and fellowships, including from the National Institutes of Child Health and Human Development (1981-83), the Wenner-Gren Foundation (1985-6), The National Endowment for the Humanities (1994), the School for Advanced Research (2005-06), and the American Council of Learned Societies (2013-14). She has received internal grants from both Yale University--(Senior Faculty Fellowship, Whitney Humanities Center (1987-88)--and Northwestern (Senior Faculty Fellowship, Kaplan Center for the Humanities (1996-97, 2018-19), (Faculty Fellowship at the Institute for Policy Studies (2009-12). She was awarded the AAA Anthropology in the Media Award in 1996, American Ethnological Society Honorable Mention for the Best Senior Book, 1998, and the Distinguished Achievement in the Critical Study of North America from SANA (the Society for Anthropology of North America) in 2005. She has served on the editorial boards of Feminist Studies (1981-1990), American Anthropologist, Identities, Critique of Anthropology, and Social Archaeology; was a member of the AAA 2015 Annual Meeting Executive Committee; and has served multiple years on the evaluator panels for Wenner-Gren and ACLS. She has been a member of the editorial board of The American Ethnologist since 2011. di Leonardo is currently serving a term as Faculty Senator for Anthropology, and serves on the Faculty Senate Committee on Faculty Rights and Responsibilities. 2008 (co-edited) New Landscapes of Inequality: Neoliberalism and the Erosion of American Democracy. Santa Fe: SAR Press. 1998 Exotics at Home: Anthropologies, Others, American Modernity. Chicago: University of Chicago Press, Women in Culture and Society Series. 1997 (co-edited) The Gender Sexuality Reader. New York: Routledge. 2017 “The Trumpocalypse and Black Radio,” Cultural Anthropology, "Hotspots", Cultural Anthropology website, January 18, 2017. 2016 “Partyin with a Purpose: Black Respectability Politics and the Tom Joyner Morning Show,” SOULS: A Critical Journal of Black Politics, Culture, and Society. 18:2-4, 358-378. 2013 “Dwight Conquergood and Performative Political Economy,” in Performing Cultures: Theory, Method, Praxis, E. Patrick Johnson, ed. University of Michigan Press. 2010 “’Paint the White House Black:’ Black Media in the Obama Era,” Institute for Policy Research Working Paper. 2009 “The Trope of the Pith Helmet: America's Anthropology, Anthropology's America,” in Alisse Waterston and Maria Vesperi, eds., Anthropology off the Shelf: Anthropologists on Writing. New York: Blackwell. 2009 “Whose Homeland? : The New Imperialism, Neoliberalism, and the American Public Sphere,” in Jeff Maskovsky and Ida Susser, eds., Rethinking America: The Imperial Homeland in the 21st Century (Paradigm Press). 2008 “Introduction: New Global and American Landscapes of Inequality,” in Jane Collins, Micaela di Leonardo, Brett Williams, eds., New Landscapes of Inequality: Neoliberalism and the Erosion of American Democracy. School of Advanced Research Press. 2008 “The Neoliberalization of Minds, Space, and Bodies: Rising Global Inequality and the Shifting American Public Sphere,” in Jane Collins, Micaela di Leonardo, Brett Williams, eds., New Landscapes of Inequality. School of Advanced Research Press. 2007 “Dwight Conquergood, Political Economy, Performance Studies.” Cultural Studies. 21 (6): November, pp.810-814. 2007 “Neoliberalism, Nostalgia, Race Politics, and the American Public Sphere: The Case of Tom Joyner Morning Show.” Cultural Studies. 16(20): March, pp 1-34. 2007 “City,” entry in Keywords in American Studies, eds. Glenn Hendler and Bruce Burgett. New York University Press. 2nd edition. 2006 “Mixed and Rigorous Cultural Studies Methodology: An Oxymoron?” for The Question of Method in Cultural Studies, Mimi White, James Schwoch, and Dilip Gaonkar eds. Blackwell. 2006 “Force of a Thousand Nightmares: Global Inequality and the American Scene,” special issue, co-edited and with an introduction with Jeff Maskovsky, Identities, vol 3, no 1. 2006 “There's No Place Like Home: Domestic Domains and Urban Imaginaries in New Haven Connecticut,” Identities 13 (1): April, pp.33-52. 2006 “Anthropology’s Past and Present in American Media,” Anthropology Newsletter, February. 2005 “Gender, Race, and Class Politics: Home in New Haven, Connecticut,” In Companion to The Anthropology of Politics, eds. David Nugent and Joan Vincent. Blackwell. 2003 “Margaret Mead and the Culture of Forgetting in Anthropology: A Response to Paul Roscoe, “American Anthropologist 105 (3): September, pp.592-95. 2002 “Culture” for The Short List: Disciplinary Misconceptions, The Chronicle of Higher Education, July 12, 2002. 2000 “Margaret Mead vs. Tony Soprano: Feminist Anthropology Fights for Public Voice in the New Millennium,” The Nation, May 21. 1999 ”The Anthropologist's Public-Image Problem,“ Chronicle of Higher Education 45 (28): pp. B4. 1997 ”It's the Discourse, Stupid!,” The Nation, March 17. 1996 “Patterns of Culture Wars,” The Nation, April 8. 1994 “White Ethnicities, Identity Politics, and Baby Bear's Chair,” Social Text 41: pp. 165-191. 1993 “ What a Difference Political Economy Makes: Feminist Anthropology in the Postmodern Era,” Anthropological Quarterly 66 (2): April, pp. 76-80. 1987 “The Female World of Cards and Holidays: Women, Families and the Work of Kinship,“ Signs 12 (3): pp. 440-453. Reprinted a dozen times. 2002 “Murder by Public Policy,” review of Eric Klinenberg, Heat Wave. The Nation, September 2. 2002 “Too Much Monkey Business,” review of Jonathan Marks, What It Means to Be 98% Chimpanzee. The Nation, July 8. 2016 "Black Radio and the Trumpocalypse," Talk given at the panel, "2016 Presidential Election: Anthropologists Reflect on What Just Happened," American Anthropological Association Annual Meetings, November 19, 2016, Minneapolis, Minnesota. 2016 "Anthropology and Political Economy in the US Public Sphere: The Angel of History Had Other Plans," Paper given at the "Afterlife of Exotics at Home" panel, American Anthropological Association Annual Meetings, November 17, 2016, Minneapolis, Minnesota. 2016 "Response" to panel on "Evidence and Archive in Oral History," Paper given at the American Anthropological Association Annual Meetings, November 16, 2016, Minneapolis, Minnesota. 2013, "The Black Elephant in the American Living Room: The Tom Joyner Show, Race and the American Public Sphere." Talk for Humanities Hour Lectures for WCAS staff, April 22, Northwestern University. 2012, "Ivan Karp: Anthropologies, Others, American Modernity." Paper presented at "Representational Practices as Objects of Ethnographic Inquiry," a two-day panel festschrift for Ivan Karp. American Anthropological Association Meetings, San Francisco, November 14. 2010 “New Haven Blues: The Local and the Global in an American Neoliberal Recession,” Paper presented at the American Anthropological Association Annual Meetings, New Orleans, November 18, as part of the invited panel, “Economic Crisis and the Quotidian: Effects, Counter-Publics, Movements Across the Americas and Europe. Organizer and Chair. 2010 “Yale Gender Studies and New Haven: A Look Back,” Paper presented at the Yale University Gender Studies Anniversary conference, April 17. 2008 “Your Hairdresser’s Best Friend’s New Haven: The Neoliberalization of American Consciousness,” Paper presented at “New Landscapes of American Inequality” panel,. American Anthropological Association Meetings, San Francisco, November 21. 2008 “The Black Elephant in the American Living Room” and “Neoliberalism Boot Camp”, for “Radical Performance, Neoliberalism and Human Rights,” the Northwestern Center for Global Culture and Communication Summer Institute in Performance Studies, June 22-28. 2008 “Great Big Legs and Jughead’s Hat: History, Politics and New Haven Urban Imaginaries,” given at the Department of Anthropology, Rutgers University, April 7. 2007 "Whose Homeland? The New Imperialism, and the American Public Sphere." American Anthropological Association, November 31. 2007 "The Political Work of American Urban Imaginaries" SANA Annual Conference, New Orleans, April 20. 2006 “Great Big Legs and Jughead’s Hat: History, Politics, and New Haven Urban Imaginaries,” colloquium, School of American Research, May 17. 2005 “Once and Future Anthropology: Anthropology’s Past and Present in America Media,” for Presidential Panel on Anthropology and the Media, American Anthropological Association, December 2. 2005 “Home in New Haven: Race, Class, Gender, and History in American Imaginaries,” SAR colloquium, November 2. 2005 “Family Values, the New Right, and the Fissioning American Public Sphere,” Annual Weissbourd Conference of the Society of Fellows, University of Chicago, April 2. 2005 “Race and Ethnicity in the 21st Century,” Roundtable, Multi-ethnic Literatures of the US conference, University of Illinois at Chicago, April 10. 2004 Respondent on the US Public Sphere, Rethinking the US State conference, Wenner-Gren Foundation, Newburgh, NY, October 10. 2004 “Human Cultural Diversity,” Paper for Race and Human Variation: Setting an Agenda for Future Research and Education, American Anthropological Association, September 13. 2004 Keynote lecture, Society for Anthropology of North America,“Global Inequality, War, and the American Scene,” Atlanta, April 24. 2004 “The Chicago School and American Marginality,” Block Museum Symposium, American Culture from the Margins, Northwestern University, April 3. 2003 Panelist in Workshop: Pax Americana Redux: Conversations on Imperialism and Anthropology Amidst Perils and Possibilities, American Anthropological Association Annual Meetings, Chicago, November 22.